It fairly easy to hit in the wide direction, I felt it was suitable for a person who emphasizes considerably fine operability or power shortage. I feel the tactile feeling of this swing racket is very good, I can hit the smash of a good sound. Also the speed of the swing will be quite high so you can play a powerful ball. Due to its light weight feeling, I got the impression of swinging the racket easily. When it comes to the second half of the game, though the movement due to fatigue will become dull, this racket has a light feeling, so it relaxes fatigue. For people who are not confident in physical strength, it is a reassuring racket. Because it sells lightweight, swing-out is easy to strike widely also well diagonally. I think that it is an excellent racket with convenience that can be easily struck even by people who emphasize rally or fine operability or people with power shortage. Is Mizuno's racket for women? I thought, but it was light and tired easily, I thought it was pretty easy to handle because it was easy to walk around. Ayumi	（Experience：６〜１０ years）	Lumina Sonic IF has excellent operability pretty good. Recently changed to doubles and changed rackets as well. I made it to Mizuno's Lumina Sonic IF which is lightweight and swingable to withstand the movements of the early rally. Actually using it, follow and smash and handling are very good and the range of defense has expanded very much. I think that it is hard to get tired even after a long game. Yui	（Experience：６〜１０ years）	We can cope well in the rally game. Mizuno Lumina Sonic IF is in use now. I use it with emphasis on swing which can correspond to a long rally. It is lightweight, easy to operate and can handle high speed rally well. Moreover, I like my way of handling well and able to correspond quickly to Smash · Follow. shima	（Experience：４〜５ years）	It is a racket that a strong hit ball can hit. I bought Lumina Sonic IF in the wake of what I was introduced from the coach. 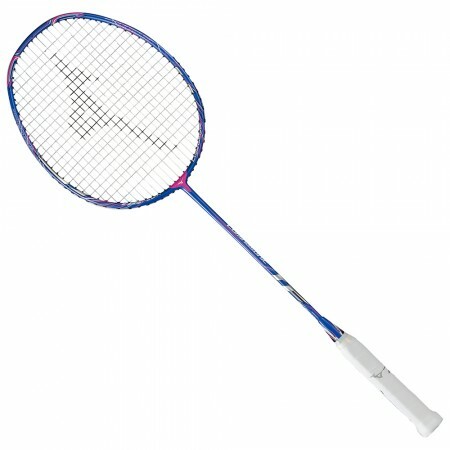 This racket has a very good feeling of swing and gives a powerful impact, so you can hit a stronger hit ball. Also, since we devised measures to reduce the shock at batting, the arms were also less tired. I use Mizuno's Lumina Sonic IF. This racket has a feeling of shot when hitting the shuttle is impressive, and I feel that I can hit the smash which can not be defeated by a girl even by girls' girls. When examining variously on the net, it seems that the shot feeling is increasing because of the large amount of carbon. It is a racket recommended for girls with low muscle mass.